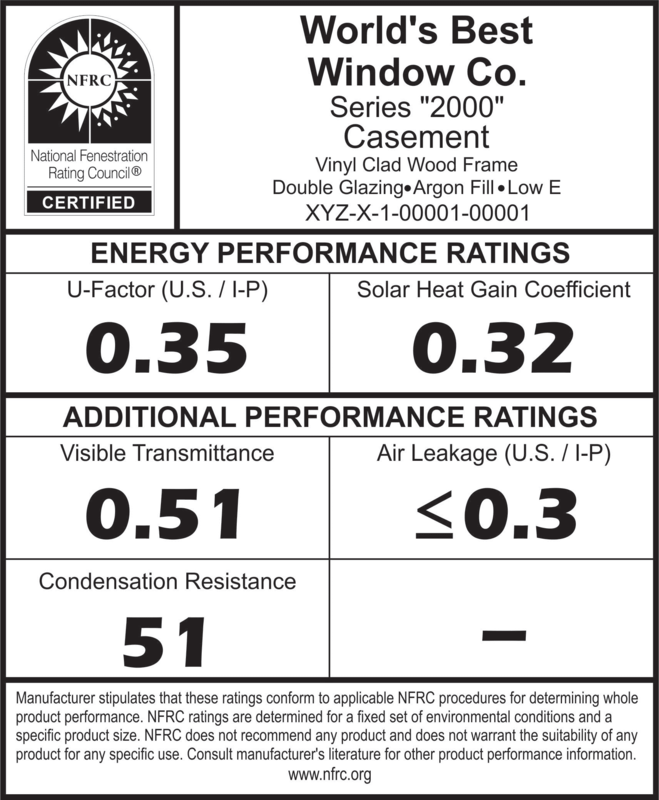 National Fenestration Rating Council | NFRC is the leader in energy performance information, education, and certified ratings for fenestration products. Each year, the average American household spends $1,500–2,500 on energy bills. 45% of that cost is for heating and cooling. Choosing high-performance windows, doors, and skylights can save you money and keep your home comfortable. View guidelines to get your product NFRC certified. The National Fenestration Rating Council is committed to advancing continuous improvement of windows, doors, and skylights, contributing to making buildings more comfortable and energy efficient. Learn product types, performance basics, and what to look for before you buy. 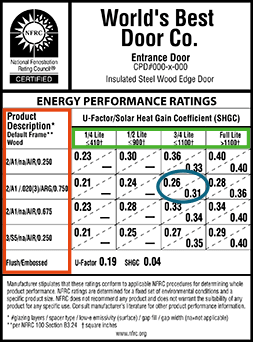 Understand the difference between energy-efficient products using the NFRC label. View a list of NFRC-certified products. Product Description Description of the door frame or glass. Glass Area Amount of glass in door by area. CMA Label Certificates are additional project-specific labels, and contain the appropriate address and contact information for the project on the first page. 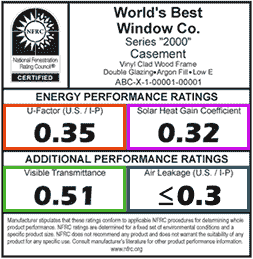 The second page contains the certified ratings.